Brett Martinez has exemplified leadership in every opportunity given to him. 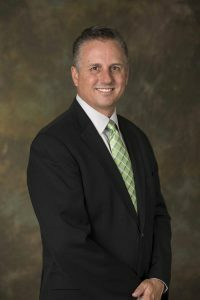 Currently, he serves as President & Chief Executive Officer of Redwood Credit Union, the North Bay’s largest credit union. Mr. Martinez oversees all aspects of the Credit Union, which serves 230,000 Members with $2.2 billion in assets. Mr. Martinez has over 28 years of credit union experience and has served as a Senior Executive for both the California Credit Union League and a large Southern California credit union prior to joining Redwood Credit Union in 2002. Mr. Martinez holds a Masters Degree in Business Administration (MBA) from California State University/San Bernardino. He is also a graduate of Western CUNA Management School. Mr. Martinez was the fundraising coordinator for Credit Unions for Kids in the Bay Area and has served on the Credit Union for Kids National Advisory Board. He was presented with the 2010 Distinguished Service Award, which recognizes outstanding service and dedication to the credit union community and volunteer and charitable efforts, at the California Credit Union League’s Annual Meeting and Conference. Mr. Martinez is an active participant in the community, serving on a variety of non‐profit, community and industry boards. Currently, he is a Board member of RCU Services Group, the Santa Rosa Chamber of Commerce and the North Bay Leadership Council, and he was the Santa Rosa Chamber of Commerce Board Chair in 2012. Over the past four years, Mr. Martinez has received the United Way of the Wine Country Executive Campaign Chair of the Year award, was presented with the “Caught in the Act of Leadership” award by the North Bay Leadership Council, served as co‐chair of the 2010 Start! North Bay Heart Walk and was recognized as the North Bay’s Best Community Business Leader by readers of Northbay biz magazine. Under Mr. Martinez’s leadership and direction, Redwood Credit Union has received the North Bay Business Journal’s “Best Places to Work” award for eight consecutive years and has repeatedly been voted “Best Credit Union” by readers of numerous North Bay publications. Brett Martinez and his wife Theresa reside in Santa Rosa with their two sons. When he’s not advocating for the community he enjoys golf, tennis, boating and spending time with his family.